Italy, 1899: Fiery-tempered, seductive medium Alessandra Poverelli levitates a table at a Spiritualist seance in Naples. A reporter photographs the miracle, and wealthy, skeptical psychiatrist Camillo Lombardi arrives in Naples to investigate. When she materializes the ghost of his dead mother, he risks his reputation and fortune to finance a tour of the Continent, challenging the scientific and academic elite of Europe to test Alessandra's mysterious powers. She will help him rewrite science. His fee will help her escape her sadistic husband, Pigotti, and start a new life in Rome. Newspapers across Europe trumpet her Cinderella story and baffling successes, and the public demands to know: Does the 'Queen of Spirits' really have supernatural powers? Nigel Huxley is convinced that she's simply another vulgar Italian trickster. The icy, aristocratic detective for England's Society for the Investigation of Mediums launches a plot to trap and expose her. 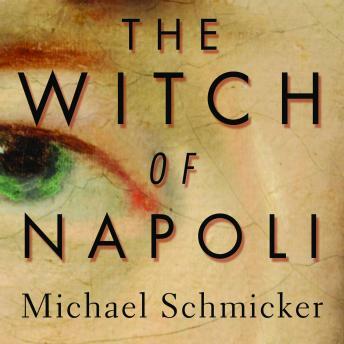 Inspired by the true-life story of celebrated Italian medium Eusapia Palladino (1854-1918), The Witch of Napoli masterfully resurrects the bitter nineteenth-century battle between science and religion over the possibility of an afterlife.